To the general baseball enthusiast or fans of teams outside of Illinois, the Chicago Cubs have been pretty harmless for a while. They haven't won anything in pretty much forever and when they've come close to winning anything recently they've tended to trip over their own feet. Besides the notorious Steve Bartman game in 2003, they've also had some pretty hapless and forgettable postseason departures in '07 (swept in first round), '08 (swept in first round), and most recently 2015 against my New York Mets (swept in second round). As everyone knows, they haven't won a championship since 1908. Haven't even been to the World Series since 1945. With a reputation and tradition for being lovable losers that's as rich as any organization in professional sports, it's been hard for anyone to really dislike the Cubs. I certainly've never had anything against them. This year things were different. A lot different. After a few seasons of intensive rebuilding at the hands of Theo Epstein & Friends, the fully matured Chicago Cubs of 2016 were the best team in Major League Baseball and nobody else was even close. The Cubs won 103 games in a year when nobody else won more than 95. They allowed the fewest runs in baseball by a wide margin thanks to some shutdown arms and the best fielding ballclub in the game. And their lineup boasts two of baseball's best hitters (Kris Bryant and Anthony Rizzo) surrounded by a versatile and talented cast of young sluggers and a few seasoned vets sprinkled in. Helming this imposing group is the man widely considered the smartest and most open-minded manager in the sport, Joe Maddon. Going into their Division Series with the San Francisco Giants, I found myself actually rooting for the Giants. 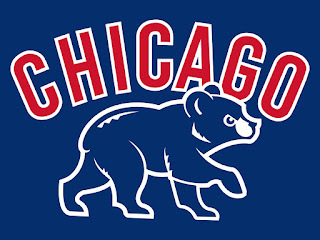 The Cubs just appeared to be too good, too much of a dominant powerhouse for me to root for them. They've also got some players I just can't stand like John Lackey and Miguel Montero. Flame-throwing relief dragon Aroldis Chapman, for as entertaining as he is to watch, also ain't the most likable character. And the Giants, while coming off a defeat of my beloved Mets, entered the series as the clear underdogs, an 87-win team with glaring flaws up against a 103-win behemoth with no discernible weakness. So I was rooting for the underdog. At some point during the Division Series, my outlook changed, as I had a pretty incredible encounter with someone who is truly a part of Cubs lore. Last Saturday I was at my friend Scott's house celebrating his birthday. Among the attendees was a woman named Rosie who I'd met once before. I didn't know much about her except that she was from Brooklyn and we'd previously chatted about the lesser qualities of my hometown of Staten Island. On this night though, since my friend Brian was wearing a Cubs hat, we got to talking about baseball. Turns out Rosie's father was a pretty famous songwriter named Steve Goodman who'd not only written "City of New Orleans" but, as a diehard baseball fanatic, was also responsible for the song "Go Cubs Go!" that the Wrigley Field faithful sing in unison at the end of each home victory. Watching the video and hearing stories about him, I was really touched. I found his wit and lightheartedness in the face of death incredible, his relentless passion and joy for the game of baseball both inspiring and relatable. Steve Goodman died shortly after recording that song. He was 37. Days later, the Cubs went on to the win their division, clinching their first playoff appearance in 40 years. Goodman had been asked to sing the national anthem prior to the opening game of the series, so Jimmy Buffet filled in and dedicated the song to Goodman. In appropriate Cubs fashion, they went on to suffer a crushing defeat against the Padres in the NLCS after taking a 2-0 lead in the series. Her father had read that citrus fruits might help him beat cancer, and he would sit with bags of oranges and his daughters at his side, and he would eat the oranges and watch baseball. Man, did Steve Goodman love baseball. He was a Cubs fan, and he said that he scheduled his tours “around chemotherapy and the baseball season.” He memorized statistics like a kid collecting baseball cards. When Steve was sick and the family moved to Seal Beach, Calif. in 1980, he took his baseball obsession with him. He kept cheering for the Cubs, he was thrilled when his daughters played Little League ball, and he would take his family to Angels games to get his live baseball fix. He was acutely aware that his time on Earth was finite, yet he spent a lot of it obsessing about baseball. Some people would call that a waste of time. Thirty-two years later, with the Cubs eyeing their first championship since 1908, we can say with certainty: It was not. After my conversation with Rosie and learning about her dad, I was finally compelled to hop onto the Cubs bandwagon and began to view this year's team in a different light. Yes, the current iteration of the Cubs is a dominant powerhouse fully loaded in all aspects of the game. But they're built this way specifically to overcome the worst run of misfortune and failure in sports history! And what better man for the job than Theo Epstein? The streak of ineptitude must end at some point and in order to do that, Theo had to build a giant tank, an indestructible force that can survive when worst comes to worst, that can withstand a Steve Bartman. I watched Game 4 of the Division Series with Rosie and Steve Goodman in mind. The Cubs found themselves in a bit of trouble. They'd come into the game with a 2-1 series lead needing just one more win to advance, but as they entered the 9th inning they trailed 5-2. A loss would send the series back to Chicago for a decisive Game 5 where the Giants could employ starting pitcher Johnny Cueto, a maestro who'd given the Cubs fits in Game 1. Starting the 9th, the Cubs had the heart of their lineup coming up and I thought, this is exactly what this team is built for, to overcome these situations no matter who they're facing. In this case they were facing a shaky Giants bullpen trying to close out the game, the series, and the Chicago Cubs' season. From there, the greatest comeback in Cubs postseason history ensued as the Cubs refused to go down quietly, putting up 4 runs in the 9th to win the series in dramatic fashion. Biggest comeback in an elimination game since the Mets in 1986. Watching it all unfold I was thrilled, envisioning Steve Goodman smiling with his guitar or eating his oranges watching his beloved Cubbies, and I felt happy for Rosie who is no doubt feeling like she's sharing in this experience with her dad. Steve Goodman won two Grammy Awards posthumously, he's had a postoffice in Chicago named after him, and there is now a Steve Goodman Day in the state of Illinois, but surely nothing would've made him happier than to see the Cubs go all the way. Here's hoping this is the year it finally happens. That's fantastic! I loved chatting with you guys as well. Welcome to the blue and red heartache! Maybe this year! 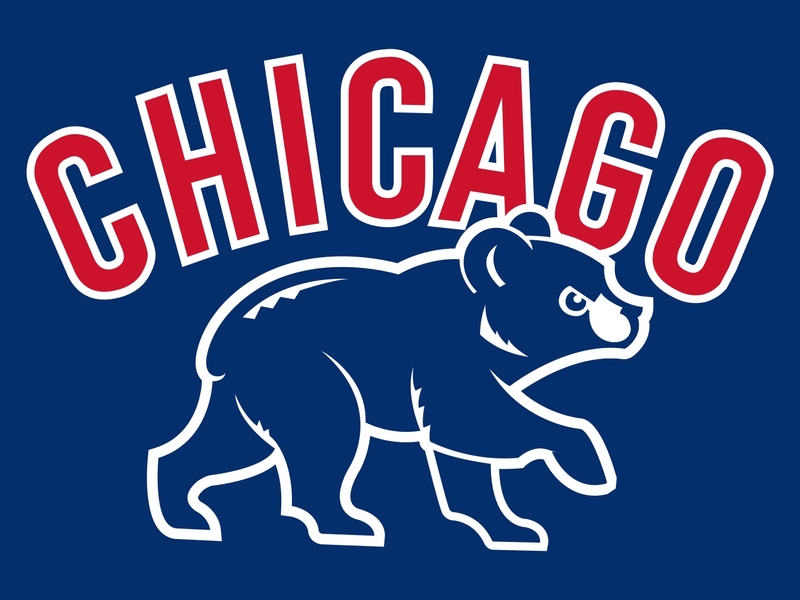 This is the best team they've had since 1935 and they are in good hands with Theo and Maddon. The immediate and long-term future of the Cubbies looks bright.